Between March and April, you can start planting the Miscanthus giganteus for your personal needs or for resale purposes to various buyers in several industries. A cultivation of this type can reach a maximum lifetime of about 30 years. Whether in France or in Belgium, the stakeholders of the agricultural market express that the productivity of this grass opens several doors to them. Research shows that the Miscanthus can reach 15 to 23 tons per hectare in non-irrigated estates owing to its C4 photosynthetic metabolism. The horticultural sectors in Belgium, as everywhere else, opt for this plant for its aesthetic and practical characteristics. Their self-weeding abilities are especially appreciated. This hybrid grass, the elephant grass, is born from the sinensis and the sacchariflorus. Originally from Asia, it is much appreciated in Europe, particularly in France and Belgium, for its contributions in biomass. 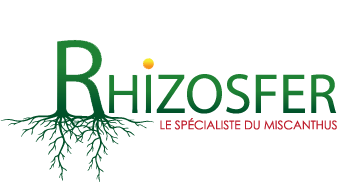 As a producer and seller, Rhizosfer markets quality rhizomes to give its customers the assurance of a productive and sustainable crop over time. Some see the Miscanthus as an aesthetic solution for their garden, others see it as an excellent investment plan. To guarantee the profitability of your crop, you can also call on us. In addition to the advice, follow-ups and other tests that we offer, you can also sign a sales agreement to ensure an income from your production.